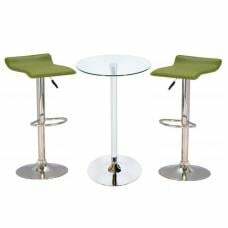 Jet Glass Bar Table Rectangular In Clear With Chrome Supports And 4 Ripple Grey Bar Stools, it can add a unique touch of traditional glamour to your space. 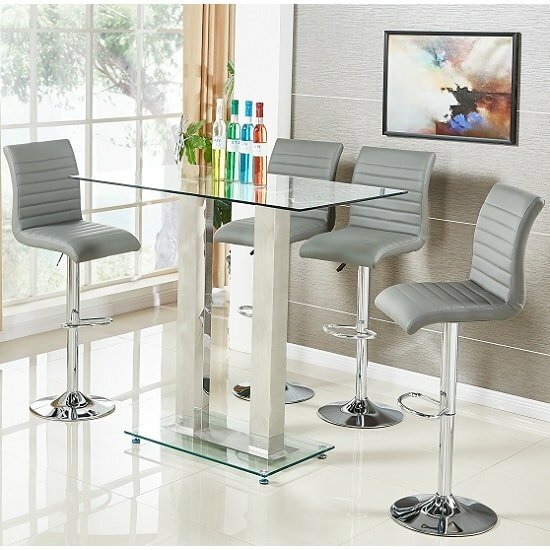 Crafted from 10mm top and 12mm bottom clear glass is supported by a striking chrome supports adds an elegant look to your space. 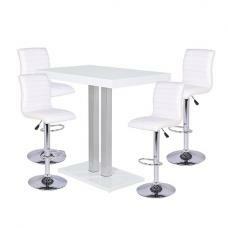 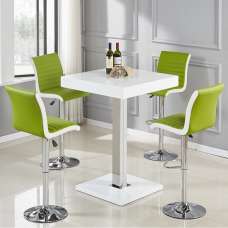 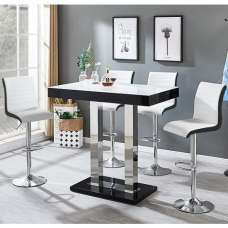 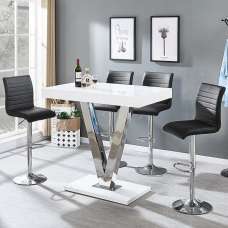 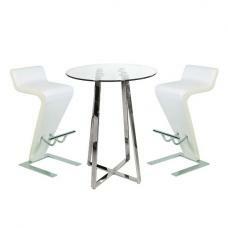 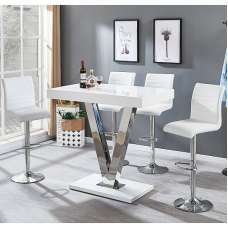 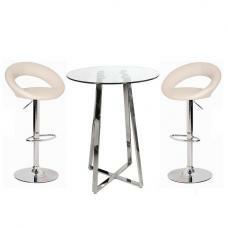 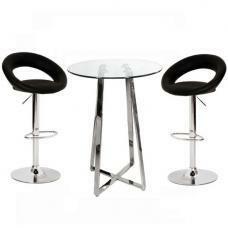 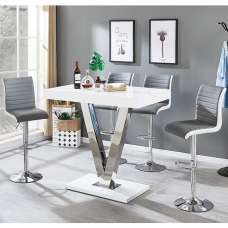 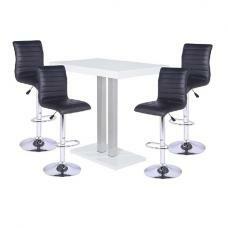 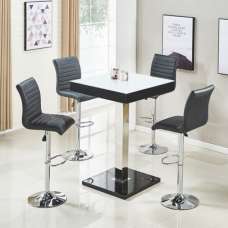 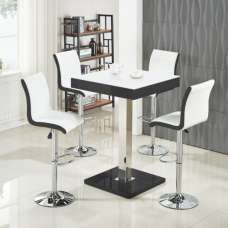 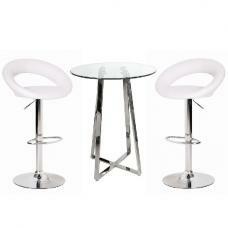 stools are made of Grey faux leather with sturdy chrome base. 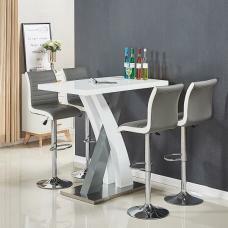 This Bar Set's Simple yet elegant appearance could easily steal the spotlight from this kitchen or bars.